This story was updated on December 5, 2018 to include comments from Gavin Newsom. Even before California’s next governor takes office, the pressure is already mounting for him to follow through on campaign promises to improve access to preschool for the state’s 4-year-olds. Governor-elect Gavin Newsom made expansion of early education programs a major part of his campaign, but what form that will take will become clearer when he releases his proposed budget for the next fiscal year in January. Assemblyman Kevin McCarty, D-Sacramento, a longtime advocate for early education, introduced three bills this week to expand preschool programs, improve preschool facilities and increase reimbursement rates for preschool teachers. “Unfortunately we have too many kids who start kindergarten behind and never catch up, and that’s because too many 3- and 4-year-olds never have the chance to attend preschool,” McCarty said. In one of his first public indications of what he might do in response to multiple demands for spending, Newsom tempered expectations for universal preschool. Currently only 69 percent of 4-year-olds and 38 percent of 3-year-olds in California who are eligible for public preschool programs are enrolled, according to the Learning Policy Institute, a research and policy organization in Palo Alto. One of McCarty’s bills would provide preschool to all 4-year-olds who are eligible for public preschool because their families earn less than 70 percent of the state median income ($63,083 for a family of four). The estimated cost of the bill is $1.5 billion, which McCarty says could fund up to 100,000 new spots for preschool in the state. The bill would also provide preschool to all 4-year-olds regardless of income in neighborhoods where at least 70 percent of elementary school students qualify for free and reduced-price lunch. In addition, 3-year-olds below the federal poverty level would also have access to preschool if the bill became law. 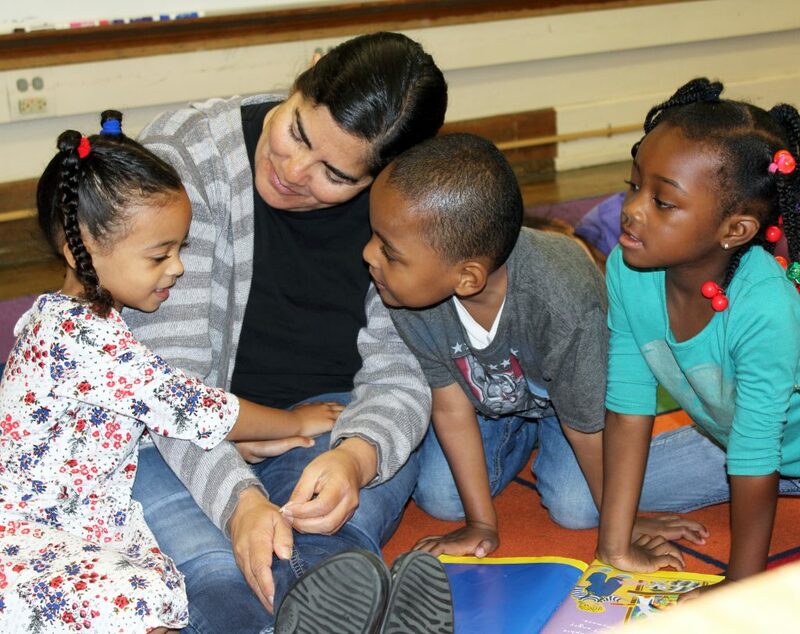 Three-year-olds would be served through the California State Preschool Program or federal Head Start programs. Four-year-olds would be served through one of those programs or through transitional kindergarten (TK), which is currently available only to 4-year-olds born between Sept. 1 and Dec. 2. The bill would also increase pay for teachers by increasing the reimbursement rate for programs that contract with the state by 23 percent. It would also seek to improve the quality of transitional kindergarten and California State Preschool by limiting class sizes and teacher-student ratios, as well as increasing requirements for teacher preparation. For example, the bill would offer an additional $3,000 per pupil to school districts that make sure all transitional kindergarten classrooms have a credentialed teacher and an instructional aide, no more than 24 pupils, a full-day program and evaluation of student progress. It would also require all lead teachers in the California State Preschool Program to have a bachelor’s degree within eight years and TK teachers to have a teaching credential or certificate specifically for teaching preschool through 3rd grade. Aides would have to have an associate’s degree with 24 units of early childhood education. The second bill would place a $500 million bond to build or improve preschool facilities on the 2020 ballot. A third bill would seek to increase reimbursement rates for childcare, preschool and early learning services, and provide funding for professional development for early childhood teachers, but it does not yet provide details about how it would do so. Early learning advocates have said both of these issues must be addressed alongside funding new spaces for preschoolers. “Paradoxically, a large amount of new funding for slots has gone unused, including $101 million in 2014-15. The reasons include low reimbursement rates and the cost of facilities, which keep providers from entering and remaining in the field,” reads a report from the Learning Policy Institute from earlier this year. Deborah Stipek, a professor in Stanford University’s Graduate School of Education, said targeting state-subsidized preschool to only low-income kids is not ideal, since it isolates those children instead of bringing together children from different incomes in the same classroom. But she said the bill is a good step forward, particularly the provisions in the bill to increase teacher pay and professional development. In 2015, Gov. Jerry Brown vetoed a bill introduced by McCarty that would have expanded state preschool to all eligible 4-year-olds, saying preschool expansion should be part of the state budget process. Two other early education bills McCarty introduced died in the Senate. McCarty said he and incoming Superintendent of Public Instruction Tony Thurmond are embarking this week on a trip to visit some of the other states and cities that have expanded access to preschool, including New Jersey, Boston and New York City. many teachers who have been in the field of preschool for the past 20-30 years, and have the experiences and units that qualify them, but do not have a degree due to hardship of money. I feel that these teachers should be grandfathered in regardless of not having a degree. This is great news, we in early childhood have been advocating for this kind of increase in pay for teachers along with professional development for decades. I’m glad to see it’s finally happening. Added with the lower class sizes all of these bills will increase the quality of care provided to our youngest learners. “Unfortunately we have too many kids who start kindergarten behind and never catch up, and that’s because too many 3- and 4-year-olds never have the chance to attend preschool.” Does good data exist to back up Assemblymember McCarty’s statement? What does he expect a “good” preschool to do with 3 and 4 year olds? My children only attended a church-based preschool for a few hours a week for total of about 350 hours each over their childhood. Our children were academically ready for kindergarten because we parents prepared them, not because of the preschool. The preschool taught them to line up, sit quietly in a circle, clean up after themselves, follow directions (e.g. how to line up and where to hang up their coat) and get along with others. We read to them, taught them their letters, taught them to read small words, taught them their numbers (by counting items at the store or at home), showed them how to hold a pencil (while letting them doodle on paper), showed them how to hold their scissors and how to cut, etc. This can be done by any parent, regardless of income–it’s just about investing in quality time with one’s child. I’m hoping “rates that reflect the economic diversity of California” is the same as compensating for regional cost differences. (The full text: (1) Compensate all teachers and providers for the true cost of providing care by reimbursing them at rates that reflect the economic diversity of California.) Starting up another one-price-fits-all program that either shackles districts or under-enrolls children in ‘wealthy’ areas would be unconscionable. For example, living costs in San Francisco are 24-46% higher than the state average, but SFUSD has to compensate teachers and staff with the same per-student funding structure as any other district. You have to wonder where the $137 million in cost savings comes from — teachers? staff? or straight out of the quality of education and support that children and their families need? Certainly, the number of experienced teachers who commute down the Peninsula would suggest the latter. It’s a shame. SF taxpayers remit over $4B in excess personal income tax — an effect of our state’s graduated tax structure — above and beyond all the costs to fund SF schools and non-school, per-capita state government expenditure. So it’s not as if SF taxpayers are not paying their way. Let’s hope that the Legislature is starting to wake to the fact that equal is inequitable – and fund both K-12 AND Preschool responsibly across the state. The additional education expectations and support for living wage for preschool staff is long overdue. I am pleased to at least see the provision that would also provide preschool to all 4-year-olds regardless of income in neighborhoods where at least 70 percent of elementary school students qualify for free and reduced-price lunch. I agree with Stipek’s concerns that the focus on low income kids “isolates those children instead of bringing together children from different incomes in the same classroom.” I saw this in my own community, especially because the absolute numbers of kids were so low that it had the effect of sending the higher income kids out of the community for preschool and away from the local public school. It was a missed opportunity to give the more prosperous families a stake in the preschool and to build friendships across all aspects of the community. In addition, those kids did not always come back when it was time for kindergarten.